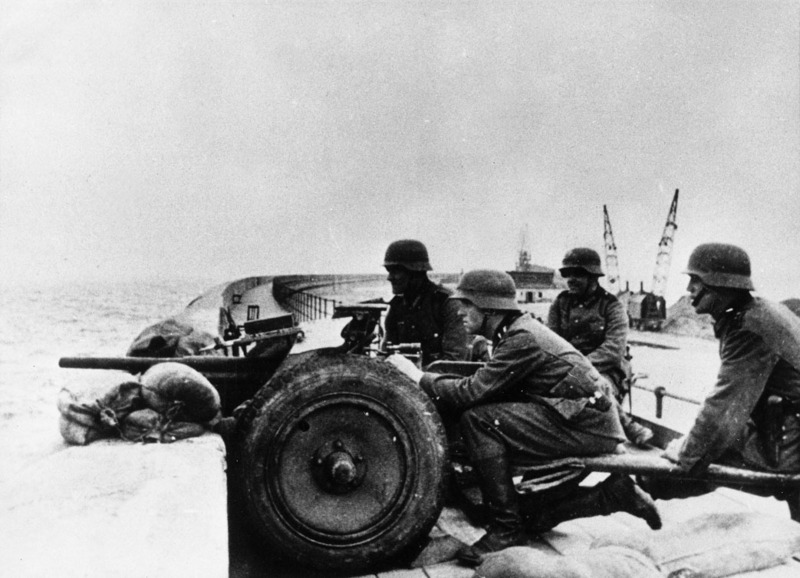 The 3.7cm PaK 35/36 entered service in 1936. More than 15,000 such weapons had been completed in Germany by 1941, and the type was also built under licence by other countries. Experience proved that by the standards of the day the PaK 35/36 was excellent, and the weapon strongly influenced the design of other guns: the American 37mm M3, for example, was a close copy. By the end of 1940 it was clear that the PaK 35/36 was obsolescent in the face of thicker tank armour, and the weapon was gradually replaced by larger-calibre guns. In the shorter term the effectiveness of the PaK 35/36 was boosted by tungsten-cored AP40 ammunition, and in secondary battlefield roles the PaK 35/36 remained in service to the end of World War II. It was also used by other countries that later fell to Germany in the war. Thus the Soviet 37mm Anti-Tank Gun Model 1930 became the PaK 158(r), the Italian Cannone contracarro da 37/45 became the PaK 162(i), and the Dutch 37mm Rheinmetall became the PaK 153(h). Self-propelled mountings of the PaK 35/36 included the 3.7cm PaK auf I ge Lkw(o), 3.7cm PaK auf Fahrgestell Bren(e), the 3.7cm PaK (Sf) auf Infanterie Schlepper UE(f), the 3.7cm PaK auf gep Artillerieschlepper(r), the 3.7cm Pak auf le Zgkw and the 3.7cm PaK (Sf) auf Zgkw 1t.